Did you know that there are more than 15 million single moms in America today? Or that they are currently raising more than 22 million of America’s youth? As single parenthood has become more common, many stereotypes about single mothers have become increasingly inaccurate. Much of what people assume about the typical single mom is untrue or not grounded in fact. It’s important to recognize that single mothers arrive at their journey in a variety of ways and their stories are as varied as they are. That’s why we gathered these shocking single mother statistics to shed light on the life of a single mom and the reality of the circumstances many of them face. Who are America’s single moms? Where are they living and, more importantly, how? Single Parent Definition: What is a Single Parent? But let’s face it, that does not even begin to scratch the surface of the life of a single mom. There are plenty of single mom stereotypes to go around, but the fact of the matter is that there is no one type of woman that encompasses all single moms. As an increasing number of women face single motherhood, through a variety of circumstances, the spectrum of ladies filling this role has broadened to encompass all walks of life. These shocking single mother statistics paint a better picture of what single motherhood looks like today and the mighty women who are raising nearly a quarter of our country’s youth. Most of us know at least a few single moms. Some of us were even raised by them. They are mothers, grandmothers, coworkers, church members, and daughters. But how many single moms are truly out there today? An exact number is hard to pinpoint, but of the nearly 15 million single parent-led households in the United States, more than 80% of them are led by single moms. This means that more than 22 million children across the country under the age of 18 are being raised without a dad at home. But how does the United States compare on an international scale? Worldwide about 17% of children ages 14 and younger live with a single parent and 88% of these single parent households are led by a single mom. Industrialized countries seem to be where the trend toward an increase in single parenthood is most notable, which is most likely linked to a number of different social and cultural factors. So to all you single moms out there, we know it can be tempting to feel that you are all alone in your struggles, but the statistics show that this is simply not the case. You have women all around you who are facing some of the very same battles or who have at some point been exactly where you are now. Do not be afraid to reach out and connect with other single mothers. We are stronger when we stand together, and, by sharing your experiences, you can use them for the betterment of everyone involved. 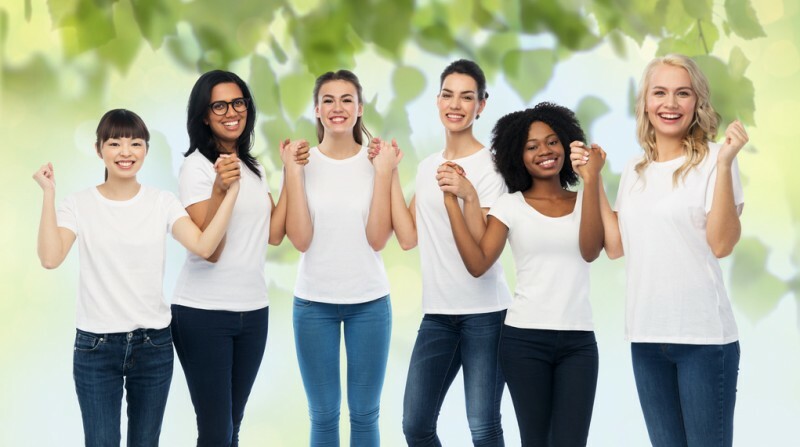 There are a number of nonprofits, churches, and agencies that provide safe meeting space through single mom support groups, such as The Life of a Single Mom, Embrace Grace, and Single & Parenting. There is no denying that the overall number of single mothers has drastically increased over the past several decades. There are now three times more single mother-led families in the United States than there were in 1960, though this trend is not evenly distributed across the country. Certain regions show a much higher percentage of both children born to unmarried parents and single mother-led households than others, with the South in the lead. The same three states, topped the charts for both statistics, with Louisiana and Mississippi swapping places for the highest percentage born to unmarried parents and the greatest percentage of households led by single moms and New Mexico ranking third in both measures. Interestingly, while births to unmarried mothers fall around 50% in both New Mexico and Nevada, the rest of the West generally has a relatively low percentage of unmarried births in comparison to other regions of the country. The high concentration of single moms in Louisiana and much of the South hits close to home for The Life of a Single Mom, a Baton Rouge-based national nonprofit, which all began when Founder Jennifer Maggio launched a single moms support group with just three other single moms in her living room more than a decade ago. These numbers are just a reminder of why her agency does what it does and the ever present needs of single moms in communities all around us. What about all the single dads out there? It may not surprise you to hear that there are significantly more single mothers raising children than single fathers in the United States today, but the numbers are still staggering. Of around 22 million children currently living with a single parent, only about 3 million live with their dads, while a whopping 19 million live with their moms. Less than 20% of single parent households in the US are led by fathers, which makes you wonder to where have all these dads disappeared. These numbers do not, however, reflect whether or not the fathers are at all present in their children’s lives, but they do drive home the point that the predominant parenting responsibilities are falling on moms when it comes to solo parenting. Single parenting would be hard under even the most ideal of circumstances, but the harsh reality is that most single moms have more hurdles to clear than just the fact that they don’t have a partner with whom to share the responsibilities of raising children. From the high costs of childcare and higher education to something as simple as being able to put food on the table, single moms have a lot on their minds. These 8 areas cover some of the most common issues affecting single mothers today. Each single mom did not end up going it alone in the same way as another, which can have a different impact on various areas of their lives. A widowed woman may have an entirely different financial situation than a woman recently divorced, just as a single mom with one child is going to face a different set of challenges than a woman with three children. So how does it all break down? So, while some feel that the escalating divorce rates in our country are the primary cause of single motherhood, that is not necessarily the case. It is a contributing factor, no doubt, but there is a general trend toward single motherhood that has its roots in other societal beliefs and values, as well. The unmarried (as opposed to divorced or widowed) single mother stereotype is often associated with teen moms or women in their early 20s who became pregnant unexpectedly, but statistics indicate otherwise. Only 60% of single moms are younger than 40 years of age, which supports the idea that more women are having children later in life without necessarily being married. This seems to go hand in hand with the general trend toward smaller families as the birth rate in the United States has decreased over the last 30 years. That is usually not a question that single moms have the luxury of contemplating. Employment is one of the most critical areas affecting single moms, because it influences so many of the other issues with which they are faced. More than two thirds of single mothers work outside of the home, and more than 25% collected unemployment for the entirety of 2017, though less than a quarter of those unemployed actually collected unemployment benefits. As the sole providers for their households, employment is crucial for the single mom but also leads to a number of other complications and considerations, such as full time child care, including limited childcare hours, costs, and availability of openings. Did you know that finances are the number one cause of stress in America? Considering the fact that the majority of people are experiencing anxiety in regards to money, it is no wonder that income is a serious concern for the single mom. In 2016, the median income for households led my single mothers was only $35,400, which is less than half of the $85,300 earned by married couples. Making ends meet with only one source of income is challenging because the cost of raising a child (or multiple children) doesn’t change depending on the number of parents doing the raising. Being money-wise is one of the many superpowers the thriving single mom has to adopt in order to take care of her family. If you are a single mom looking for ways to stretch your income, here are some helpful money-saving tips for single moms. The income disparity between single and married families becomes most evident when you look at the likelihood of single moms to be poor in comparison to married couples. The poverty rate among single mother-led families is five times that of married couple families, which has major implications for the children involved, not just the mothers. Of all households with children on the SNAP program, 59% were from single mother-led families, and 45% of all children with single moms receive food stamps. Two thirds of children with single mothers receive free or reduced meals, and households led by single moms make up 90% of all families receiving benefits from the TANF program. While the government assistance is helpful for those families receiving it, it is not nearly substantial enough to make up for the fact that there are hundreds of thousands of kids from single mother homes facing poverty in our country today. Despite the statistics, single motherhood is not an automatic sentence to spend the rest of your life in poverty. There are plenty of single moms that are able to achieve financial success and provide for their families, but poverty is something they are faced with much more readily than the average married family. Parenting can put a strain on any family, but there are several hardships that have proven to be prevalent in homes led by single mothers. Employment, income, poverty, and the hardships that follow are all interrelated and pressing issues single moms in America are battling daily. One third of all single moms have to spend more than half of their income on housing, which drains financial resources away from other aspects of living. So it should come as no surprise that a third of all single mom-led families are also considered food insecure. Sadly, housing is something some single mothers simply can’t afford, leading to homelessness. Families with single moms currently make up 60% of all the homeless families in the country, something no single mom wants her children to experience. Healthcare is a hot issue in America and something that affects single mothers in a major way. While the overall number of single moms that are uninsured has decreased in recent years, access to adequate healthcare coverage is still something too many single women lack. Single moms are twice as likely as married mothers to have no health insurance, which leads to added stress for women who know that they are the only ones around to provide and care for their children. Every mother wants to give her children as many opportunities as she can, but single moms are often limited in how much they can contribute to furthering their children’s educations. In the last 30 years, the average cost of college tuition at a four-year university has more than doubled, leaving even many two parent families questioning where they will find the funds to send their kids to school. For lots of single moms, some of whom are spending more than half their income on housing alone, helping their children pay for college is just not an option which often leaves the children to take out student loans in order to go to college. Financial limitations aside, about one third of children with single mothers graduate from college, though one sixth did not even finish high school. People often joke about the increasing cost of raising kids, but the cost of child care is no joke! Before single moms ever have to worry about a college fund, they are faced with a much more pressing matter: child care. For the working mom, child care is a must, but the price tag is often far more than they can truly afford. Nationwide, the cost of center-based child care averaged between 30% and 40% of the median income of a single mom depending on the age of her child. In Massachusetts, New York, and Oregon, the cost exceeded half their income! Finding affordable child care is essential to the survival of many single moms, but it is not something that is always readily available. This is just another way the price of parenting plays into the life of a single mom. Have you ever wondered how much you actually spend raising your children? The most recent estimates predict that the average family will spend $233,610, or about $14,000 annually, to raise one child from birth to the age of 18. Of course, there are variables such as which part of the country in which you live and the resources available to your family that will impact this number, but being a parent is a costly endeavor regardless. If the overall cost for raising a child does not surprise you, the breakdown of where all of that hard earned cash is going might surprise you. Transportation, healthcare, clothing, and other miscellaneous costs make up the remainder of the budget, which is only cumulatively about a third of what they spend. Raising a child is not cheap, and the problem is that single moms don’t receive a price cut just because they don’t have anyone else helping them out. Whether there are two parents in the picture or just one, babies still need diapers, toddlers still have to go to daycare, children still require school supplies, teens still have bottomless appetites, and kids of all ages need a roof over their heads and new clothes to fit their growing bodies. Single moms have even greater incentive than most to learn to be resourceful and to spend wisely in order to keep expenses as low as possible. They also know that, despite the monetary cost of raising a child, the rewards of motherhood far outweigh the sacrifices made along the way. There are plenty of single mom stereotypes and stigmas to go around, but what about the single moms that have beat the odds, stepped up to the challenge, and left their mark on society? From celebrity single moms we all know and love to famous figures that were raised by single mothers, our history is full of single women and their children that have impacted our culture and our lives. While single motherhood may be a growing trend today, there have been women throughout history that thrived as single mothers and still managed to make a lasting impact on our world. The appearance of these women spanned hundreds of years, and they came from every walk of life, but they all shared the same strength and determination to achieve greatness as both women and mothers. It is not commonly known that this famed physicist, who was the first woman ever to win the Nobel Prize, was also a single mom to two daughters after her husband passed away in a street accident. She went on to be one of only four people to ever win two Nobel Prizes in a lifetime, and she also lived to see her daughter Irene win a Nobel Prize of her own decades later. At the age of just 16, Maya Angelou gave birth to her son Guy and began her life as a single mom. But rather than allow this to slow her down, she used her experience as a mother as inspiration. Known for her captivating poetry and political activism, Angelou received more than 50 honorary degrees in her lifetime, as well as countless awards, including a Pulitzer Prize nomination and the Presidential Medal of Freedom from President Barack Obama. While Elizabeth Blackwell may not be a name that everyone has heard, her achievements paved the way for every woman in the medical field today. She was the first female to ever receive a medical degree in the United States, and she went on to found the New York Infirmary for Women and Children and establish women’s medical colleges in both New York and London. On top of her medical prowess, Blackwell also adopted an Irish orphan around the time she opened the infirmary. She raised Kitty Barry and provided for her daughter’s education without any assistance and never did marry. Another well-known child of a single mother is America’s 44th president Barack Obama. His mother, Ann Dunham, had her son at the age of 18 and worked hard to raise him on her own. Despite her struggles, she eventually went on to earn her Ph.D. and work as an anthropologist. Now one of the most well-known leaders around the world, President Obama lists his mother as one of his greatest sources of inspiration. Swimmer and Olympian Michael Phelps gives credit to his mom who proudly supported him on her own after she divorced when he was 9 years old. Debbie, his mom, even studied to become a middle school principal after the divorce, all while managing Michael’s ADHD diagnosis and swimming schedule and providing for the family. This is not to mention her parenting Michael’s two sisters’ active school and extracurricular lives; they were swimmers too. Their family’s story bucks the trend that children from broken homes often lead troubled lives well into adulthood. One of the most popular players in the league, this 10-time NBA All-Star, 2-time NBA Champion, 2-time Finals MVP, and 2-time Gold Medal Olympian credits his mother as the Real MVP of his life. Wanda Pratt raised Kevin and his older brother Tony as a single mother teaching them to save and be responsible with their money, skills that have come in handy now that Durant is making millions of dollars each season. Known for his outspoken Christian beliefs, Kevin founded The Kevin Durant Charity Foundation to give back to those less fortunate, recently committing $10 million to children from his hometown. While some professional athletes are known for frivolous spending, he regularly saves, invests, and gives to charitable causes. Wanda now travels the motivational speaker circuit and is a philanthropist. Celine Dion became a single mother when her husband suddenly died of throat cancer in 2016. Devastated and grieving, she, to this day, encourages her three children to visit their father’s grave and talk about him regularly to keep his memory alive. Although an international musical megastar with more than 100 major awards issued over her extensive 30-year career, Celine is intentional about family time and prioritizes family hugs, considering those to be important reminders of how precious life is here on earth and how we aren’t promised tomorrow. Despite her family challenges, she epitomizes strength, positivity, and authenticity. These hardworking and influential men and women are just a handful of the hundreds, if not thousands, that have been impacted by the role of a single mother and thrived, and you can do the same. Single moms are capable of making an impact, and already have enhanced the lives of your children. As a single mom, they will likely face adversity, but it doesn’t have to define them, as these families have shown. If you are a single mother who has been reading the above data, overwhelmed by the challenges you face, certain that you can’t go on or that your children or doomed to become a negative statistic, know that there have been countless stories through the decades of single mothers who are overcomers, achieving more than many thought possible. Be encouraged. Now is your time to thrive. Here at The Life of a Single Mom, we know that there is no way to truly quantify what it means to be a single mother. From Founder Jennifer Maggio to many of our volunteers, employees, and supporters, we have walked more than just a day in your shoes and know how it feels to be a mom with no husband at your side. Whether you are widowed, divorced, or have never been married at all, we recognize that the life of a single mom is never easy. That is why we want to offer you the support and encouragement from people who can relate and who care about your success as a mother and in life. We provide a wide variety of resources to single moms across the country in order to equip women to thrive regardless of the circumstances they are up against. For more information about how we can help single moms, check out our single mom help page. Or if you are interested in leading single mothers to success, see our ministry leader page.